Apple’s annual WWDC is always feature packed. This year’s emphasis was on software (as with last year) and we saw major upgrades to both iOS and OS X.
Apple showed off iOS 8, the next generation of iOS at the conference which sports loads of new features such as a health app, user profiles, a better photos app, updated messages app, and more. Spotlight has been completely redesigned and iCloud now comes with iCloud Drive, a competitor to others such as DropBox and Google Drive. 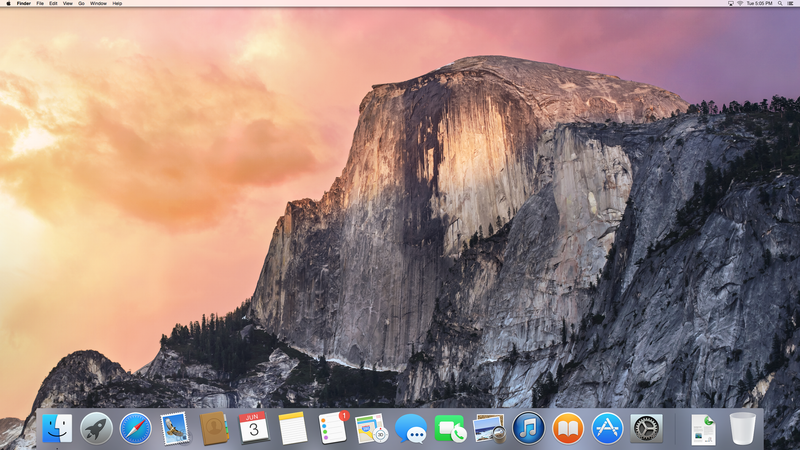 OS X Yosemite also saw its debut with a completely redesigned interface similar to that of iOS 7. As with last year’s iOS 7, the radical new design of Yosemite takes some time to get used to. It’s certainly a stark new overhaul and might be a but of adjustment to long-time mac users (look at Finder)! Every element of Yosemite has been redesigned with the new look and it’s quite impressive. The new feel conveys a sense of depth and content. Notification center on the mac has also been redesigned and completely revamped. We’ll have more on each individual feature of iOS and OS X in the coming days. Stay tuned! This entry was posted in Uncategorized and tagged Beta, iOS, iOS 8, iOS Beta, Mac, OS X, OS X Yosemite, Rumors, WWDC, WWDC 2014. Bookmark the permalink.